You have a headache, you have a stomachache, you might have a hangover. Alcohol disrupts biological rhythm. A hangover is a group of symptoms that may occur after overindulging in alcoholic drinks. Even, withdrawing from alcohol is a tough task. If you ask a dozen people about what they did during a hangover, you might get a dozen different answers. Some will say, drink coffee while others may recommend you to pop an over-the-counter pain reliever. But, the real question is, do these really work? According to the researchers, there is no magic potion that can get rid of a hangover. The only way you can avoid that feeling is by drinking less. If you think that you are overdoing it, these steps will help tone down your morning-after symptoms. 1. Keep yourself hydrated: The dehydration can be caused when you booze a lot. So, if you want to get rid of it and tackle your consumption, you should drink a lot of water when you wake up. Drinking bland fluids that are easy on your digestive system will help you replace lost liquid without irritating your stomach. You are needed to drink a pint of water will help to lower dehydration levels even before you wake up. Always keep a glass of water next to your bed. 2. Don’t light up and drink: For some, it is not a good option if they smoke cigarettes and also drink. It results in even worse hangovers. Both together affect your sleep and can make you even crummier. 3. Eat to fight your hangover: Eggs are an excellent thing to have when you are hungover. They contain an amino acid called cysteine, that breaks down the toxins that are responsible for making you unwell after drinking. It makes you feel better, rejuvenated and also energized. You can also try a bowl of fortified breakfast cereal, as it will have more vitamins and minerals. 4. Rest and recover: Sleep is the best way to deal with a hangover. It provides proper restoration of your brain so that you can’t be sleep deprived. 5. Take prickly pear supplement: While most of the over-the-counter drugs remedies won’t help much, if you take prickly pear extract four hours before your drink, it might lower your symptoms in a great way. The extract has a protein that curbs the inflammation you can get from drinking too much. They may help hold off a hangover. 6. Take a multivitamin pill: When you do binge drinking, your body will lose a lot of nutrients including vitamin B12 and folate, that will need to be replenished. As with other pills, you can take a soluble or effervescent pill, that gets into your system faster and work faster in reducing the symptoms. 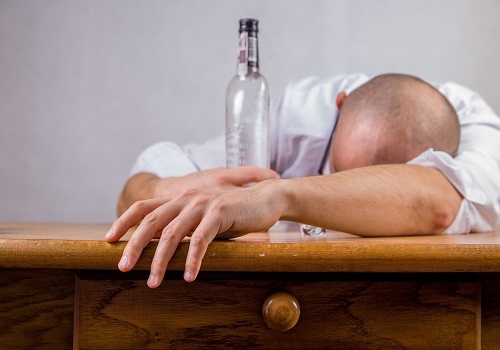 With these 6 tips, you can minimize the reaction of your hangover. Share it with friends and family to create awareness.